Photos: On Ash twig. Ballingeary, Co. Cork, SW Ireland. Thin, smooth, grey to white thallus forming small patches or +/- immersed. 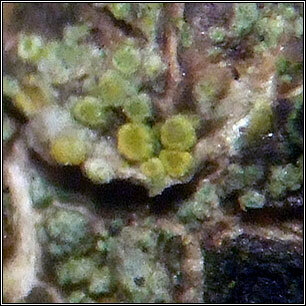 Very small closely grouped apothecia, discs pale yellow to orange with paler persistent margins. 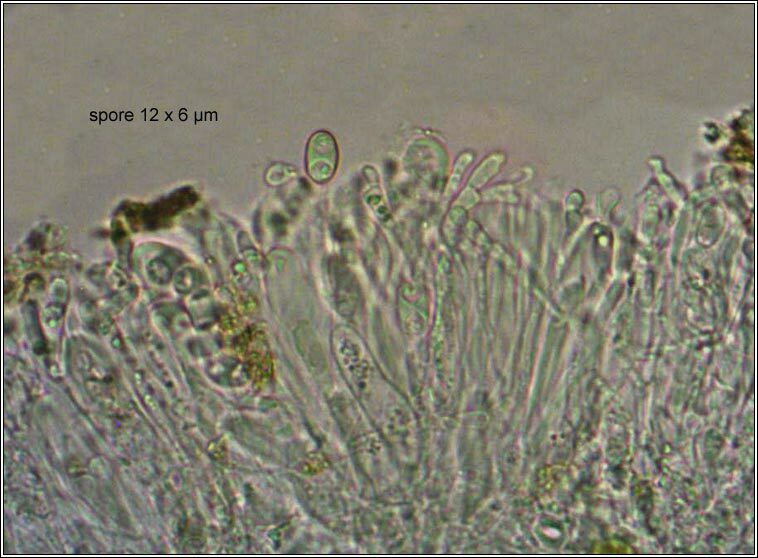 Asci are (8-)12-16 spored, the spores polarilocular, 10-13 x 6-7 µm, the septum 3-5 µm wide, 1/4 - 1/2 spore length. Microscope photograph below. 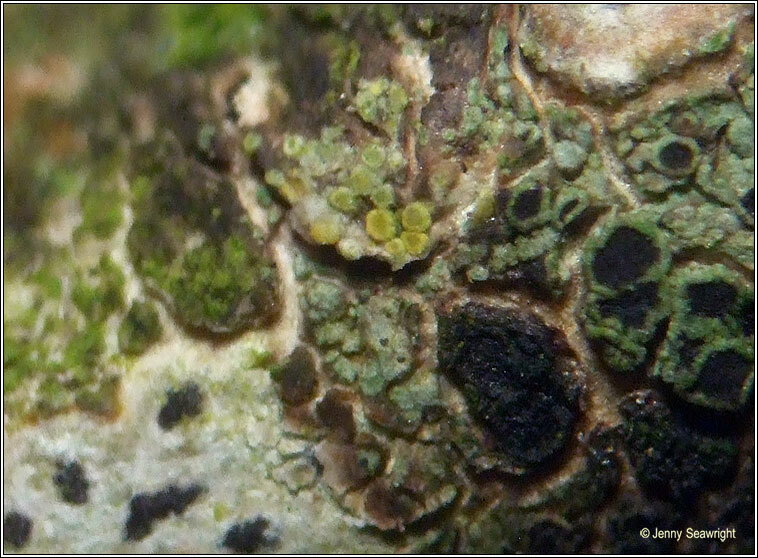 Inconspicuous, possibly often overlooked on bark of twigs and small branches of Ash and Elder. Similar: C. cerina. Larger discs, asci 8-spored.